Hilary Mantel wins the Costa Book of the Year award for ‘Bring up the bodies’ and sets yet another record as the first person to win the Costa and the Man Booker in the same year. Responding to criticism about her book winning too many awards and stifling other talent, Mantel said she was “not going to apologise”. “I’m not sorry, I’m happy and I shall make it my business to try to write more books that will be worth more prizes,” she said on stage. Good for her! Do you think the judges were right? Pride and Prejudice, one of the most loved books ever published, is 200 years old today and it’s a truth universally acknowledged that everything written about it today has to contain that line! Here’s an article by Joanna Trollope on its enduring appeal. I love it and I’ll be reading a chapter tonight to celebrate- but which? Mr Collins’ proposal or perhaps Lizzy standing up to Lady Catherine in the shrubbery? Are you a Janeite and do you have a favourite scene? Upon Olympus’ cloody height Diana felt th’ heat. In Caledonia’s sparkling burns resolved tae stoat her feit. A sleekit ram in heather hid watched her wi’ lusty eyes. Tae see me thus, the Goddess skirl’t, is death tae man or beast. I’ll turn ye frae a Peepin Tam intae a noble feast. She strack and there a haggis lay where ance had been a ram. She sair’t him tae the Gods that nicht wi’ tatties and a dram. ‘Hoots mon!’ Apollo cried in awe, ‘This has Ambrosia beat. For aye the haggis is devoored, fit food for Gods and Men. You can find the real thing here. 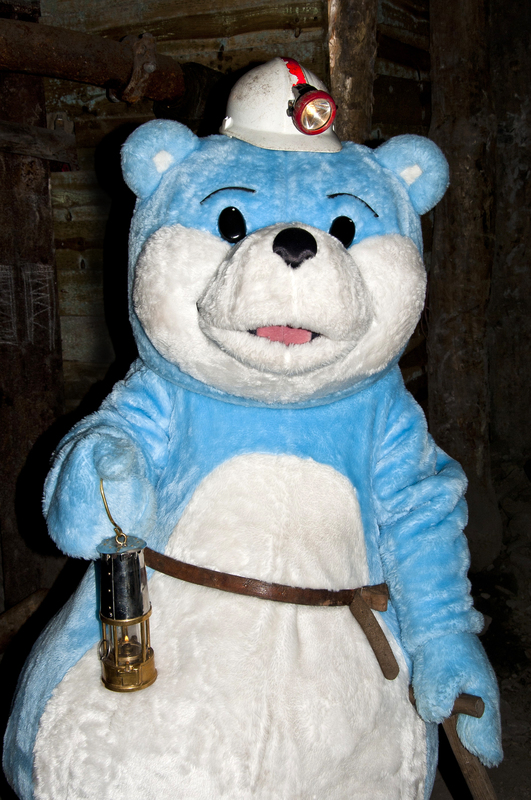 Bookstart Bear gets excited about his visit to the National Coal Mining Museum!. To celebrate National Storytelling week the Bookstart Bear and his library friends will be telling stories and rhymes at the National Coal Mining Museum on 29th and 30th January 10am-11am. To start the week with stories, visit Airedale Library’s storytime ‘Bookstart Little Darlings’ on Monday 28th, 10am-11am for stories, rhymes and craft. Because of the weather all libraries will now be closing today (Monday 21st) at 5pm. We apologise for any inconvenience caused. Drop in to South Elmsall library on Tuesday 22nd January 10-12 to talk to Health trainers about diet, exercise and everything to improve your health this year. Library staff can help you find books about exercise and healthy cooking too. Waterstones Eleven is their choice of the best debut authors to look out for in 2013. Their form is good as they have picked the Unlikely Pilgrimage of Harold Fry, Land of Decoration and When God was a Rabbit in past years. Due to essential on-going maintenance work the Local Studies library in Wakefield One will be closed to the public from the afternoon of Thursday 17th January for a period of approximately 26 days. However, we will still be providing as comprehensive a service as possible. We have done everything possible to minimise the disruption, and have tried to ensure that there are alternative locations for any material which will not be available on this site. All the book stock will be available but will only be accessible by staff so there will be a short waiting time. Micro-film readers will be available to use in the first floor library. If you are interested in reading and are aged between 13-19, why don’t you come along to the next teenage reader group meeting at Wakefield One Library 4pm 30th Jan.
You will be able to meet other young people and discuss books you enjoy. Just ask for Liz Whitworth or any other member of staff who will welcome you and introduce you to rest of the group. Local Studies Card Catalogue is now available online! So if you’re interested in Sandal Castle, or if you’re wanting to know about the liquorice industry of Pontefract or if you have a relative who was involved with the Theatre Royal at Castleford you can now see what information we can provide.